a little seems like a lot." 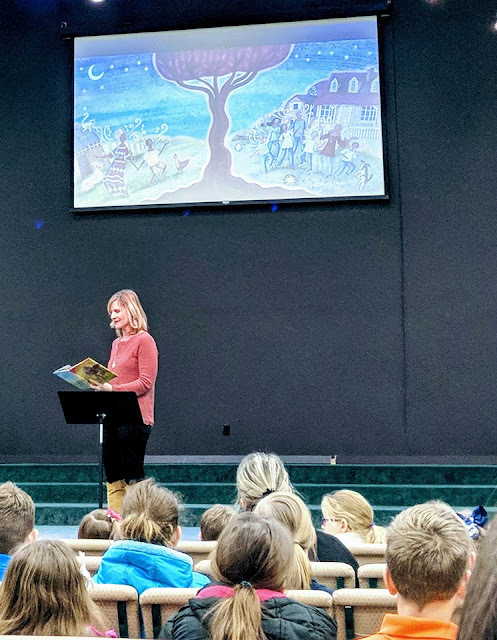 Our school had the privilege of not only getting to see a beautifully illustrated book, “The Marvelous Mud House”, the author actually read it to our students. April Graney has written a wonderful book that children of all ages will enjoy. As I looked around the auditorium while she read her book to the students, I observed that they were totally engaged and listened as she shared. 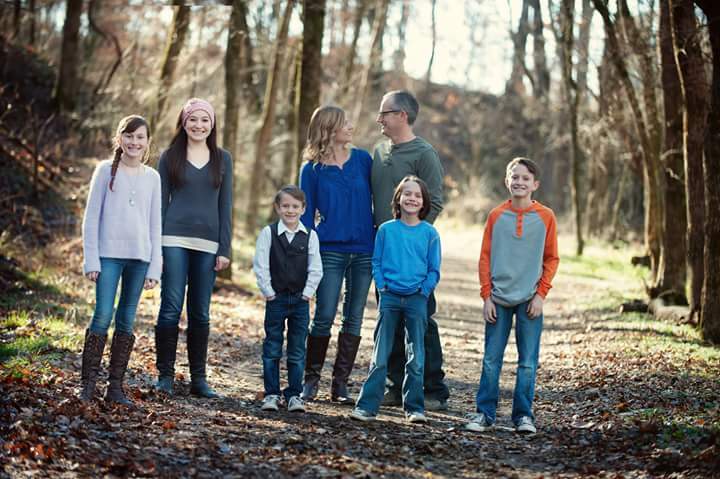 Our students range in age from 4 years to 12 years old. Each child loved the book, which was evident by the way they stayed attentive throughout the story and by the rich questions they asked at the end of her presentation. “The Marvelous Mud House” crosses cultures in a beautiful way and teaches some great life lessons about contentment with what you have, less can actually be more, working with a good attitude, and sharing with others who have a need. We hope she will write another book and come back again! 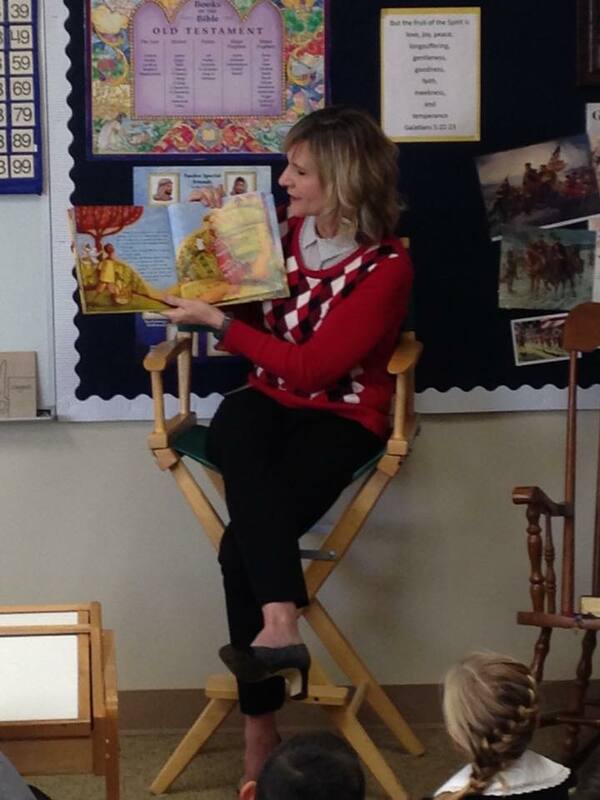 "Our Kindergarten through fourth graders loved Mrs. Graney ‘s read aloud of The Marvelous Mud House. By evidence of their comments and questions, students engaged in perspective, empathy, and problem solving during the read aloud all the while experiencing “the God who provides” in a new way. Our students and team greatly enjoyed the experience and learning that Mrs. Graney brought to us, and hope to partner with her again in the future." "The Marvelous Mud House is a delightful book which opens the hearts and minds of the reader to the possibility of joy and happiness while living in needs. When reading aloud, April Graney has an engaging manner that pulled my students into the world of Kenya. She interacted with the students and graciously answered the questions and listened to the comments of my little ones. 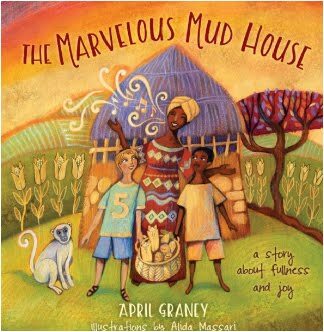 The Marvelous Mud House would be a great addition to any classroom and an excellent resource to start a discussion about having an attitude of gratitude and way we can make a difference in the world." You can email me for book readings or speaking engagements at: april@newliferanch.com!